Matthew Connor; Rory Feely, Kenny Browne, David Webster, Derek Daly; Bastien Hery (C); Faysel Kasmi (Martin, 67), Sander Puri; Gavan Holohan (Dean Walsh, 90); Courtney Duffus, Ismahil Akinade (O'Halloran, 84). Barry Murphy; Simon Madden, Lee Desmond, Kevin Toner (sent off, 15), Ian Bermingham (C); Jamie Lennon; Conan Byrne (Barker, 17), Darragh Markey (Doona, 83), Ryan Brennan, Dean Clarke; Jake Keegan (Turner, 75). Waterford FC took another step towards European football tonight with a 2-0 victory over 10-man St Patrick's Athletic at the RSC. Goals from the Blues forward duo Courtney Duffus and Izzy Akinade followed Kevin Toner's 15th minute red card and ensures that the gap between them and the chasing pack of Derry City and the visitors now stretches to six points. Matthew Connor, impressive for the Blues in the First Division last season, got the nod to replace Lawrence Vigouroux after the Chilean netminder's loan spell concluded, while Liam Buckley made four changes from the eleven who lost 3-1 to bottom side Bray last week with Jake Keegan replacing the suspended Thomas Byrne. The visitors started the brighter team and rattled the crossbar after just eight minutes when Darragh Markey's shot appeared to deflect off David Webster minutes before Simon Madden launched an ambitious 40-yard effort over. 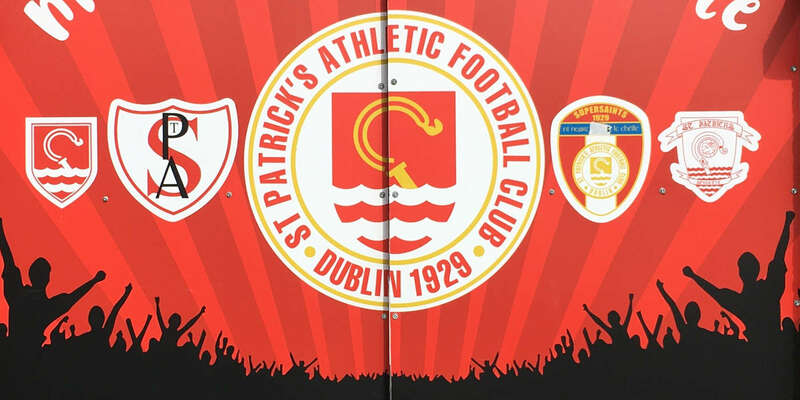 The Saints were left with an uphill task however when Toner was sent off after a quarter of an hour for taking down Akinade just outside the box as the striker advanced towards Barry Murphy's goal. The home side started to look more comfortable on the ball with the numerical advantage with Faysel Kasmi having an effort deflected wide having cut in on the right hand side and top-scorer Duffus spurned their best chance of the half two minutes later. Akinade did exceptionally well to control Kenny Browne's long-pass in the right corner of the pitch before floating a beautiful cross onto the head of his unmarked strike partner, but the on-loan Oldham striker could only nod the ball directly at Murphy. Waterford's full-backs were coming more into the game, with Derek Daly causing problems down the Saints' right side while Rory Feely failed to hit the target with an effort before the opening half closed. Markey couldn't steer a Dean Clarke corner goalwards at the beginning of the second half and the Blues made them pay in the 55th minute. Former Pat's full back Feely's looping cross from the right was well won by Akinade and Duffus was the quickest to react after the initial header bounced off the crossbar to score move into double figures for the campaign. 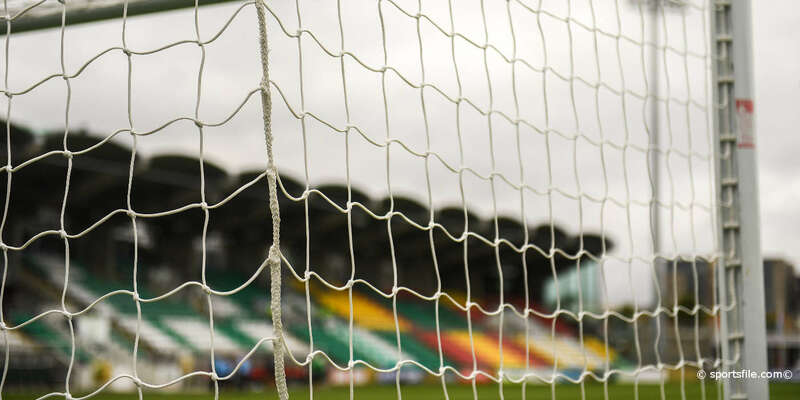 The depleted Saints struggled to create any chances as Waterford pushed for a second - Duffus blazed over from an acute angle while Feely glanced a Kasmi corner across goal. 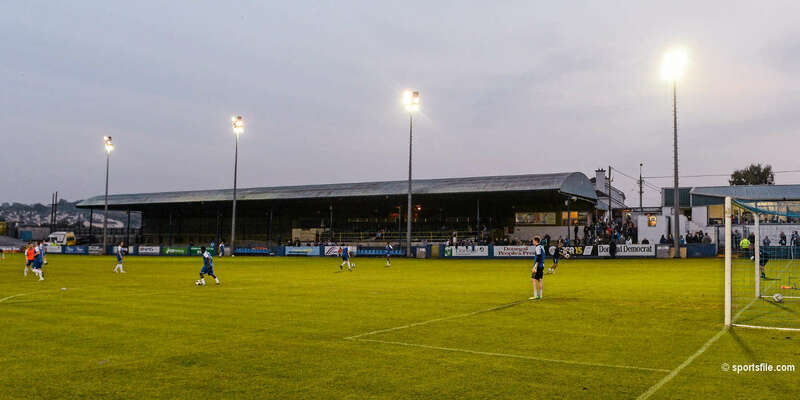 The settler did arrive with 15 minutes left on the clock when Akinade rolled the ball under Murphy having been found by his team-mate, and while Ryan Brennan fired into the side netting minutes later in retaliation following a wonderful Ian Bermingham pass, the Blues safely saw out the time remaining.